Over the years I found it quite helpful to list my current investments at the end of each year and try to explain (to myself) the investment case in a few sentences. Compared to last year, Sberbank, Gronlandsbanken, Cranswick, Trilogiq, KAS bank and Energiedienst were sold, the Depfa LT2 matured. New positions bought in 2015 are Aggreko, Partners Fund, Lloyds Banking, Gagfah, Pfandbriefbank and Greenlight Re. With 27 stocks, the portfolio is still maybe a little bit too diversified, my preference would be to have not more than 25 positions. Interestingly, only 5 stocks of the 2013 list are still in the portfolio, so there has been some turn around. Greenlight Re (GLRE): Poor man’s Berkshire or interesting bet on a David Einhorn Comeback ? 2. Greenlight Re, the Reinsurance company whose investments he manages “mean reverts” at least closer to its historical price book ratio. This “bet” should be relatively uncorrelated to the overall market and due to the construction of the investment mandate, Einhorn can charge only half of the performance fee for some time. Disclaimer: This is not investment advise. DO YOUR OWN RESEARCH !!! Almost exactly 5 years ago the first post (still in German) went online. Those anniversaries are always a good occasion to step back a little bit and reflect what happened and what changed. Big “Thank you” to all readers !!! 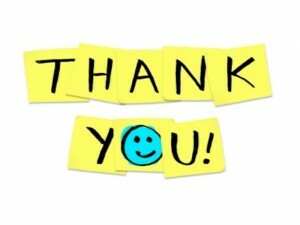 First of all, I want to say “Thank you” to all my readers. Especially for those who comment on a regular basis because this feedback is really important. It is like having a really sophisticated investment committee to which I have to “Pitch” my ideas where any weak point will be highlighted directly. Also a big “thank you” to all readers who send me Emails. Actually I feel more motivated than ever to continue with this “hobby”, so let’s look forward to the next 5 years !!! “Think like a Freak” is not an explicit finance book. I had read both predecessor books and I liked the original “Freakonomics” a lot, the second book not so much. For those who haven’t read them: The Freakonomics books look at how every day life and real life problems can be explained by economic variables like incentives etc. often with very surprising and not really obvious connections. The third book in my opinion is very good. They want to encourage readers to “think like a Freak”. This means among other things, trying not to tackle big problems head on but trying to solve little problems that might then have large effects or do things differently. And mostly the way to solve those problems is very unique. One example for instance was David Lee Roth (the singer of Van Halen) who was famous for demanding a very detailed list of things for his concerts, among others a bowl of Smarties but without the brown ones. The reason for this seems not to have been pure vanity but a test if the people organizing the concert halls actually had also read the other stuff, especially with regard to the technical equipment. So the first thing he did when he arrived at any stage was to check the Smarties bowl. If the brown ones were still in, they directly went to checking all the equipment really thoroughly, in order to make sure that everything really worked. If the brown Smarties were out, they just made a standard test and saved a lot of time and effort. Interestingly, I actually could make a connection to investing when I read the book. I do think that value investing is actually very similar to “Invest as a freak”. As a value investor, you don’t really care about the big problems like “will the stock market go up or down”, “what will GDP growth be” etc. Rather you concentrate on “small” problems, looking at company by company without caring so much about the “big picture”. I think it is also important for an investor to develop some kind of “brown Smarties” test similar to David Lee Roth. For me for instance this is the comprehensive income line. If I see something strange there I know I have to be really really carefull when I further analyze the stock. Anyway, even without making the connection to Value Investing, “Think like a Freak” is a very entertaining book. HIGHLY RECOMMENDED !! !